Many a times I stare at my reflection in the mirror and wish for a sharper chin, a smaller face, something to enhance my appearance. I believe this is a familiar scenario among majority of the ladies. 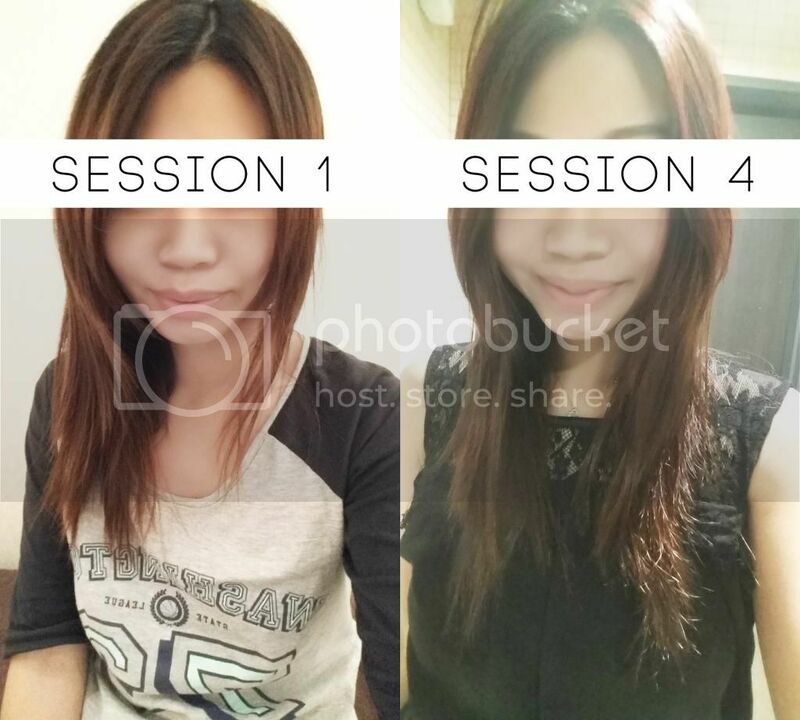 Thankfully, I was given an opportunity to experience ClearSK® V-face Shaper treatment! 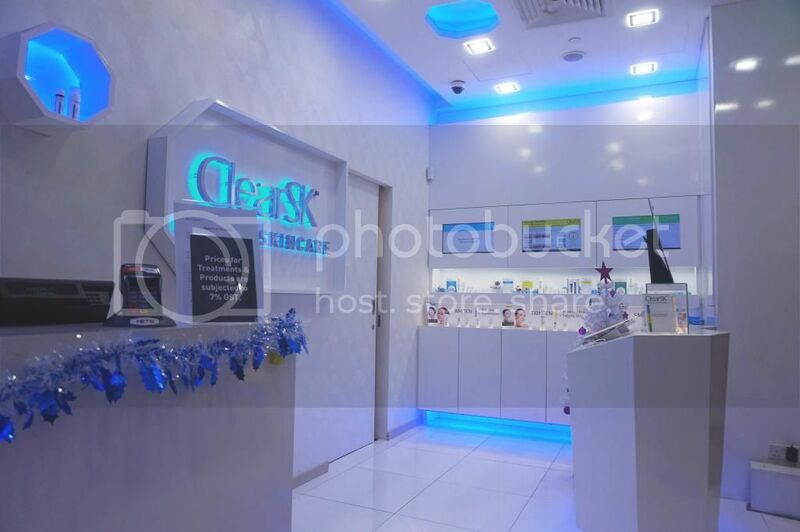 ClearSK is a one-stop provider of expert-guided medi-aesthetics solutions for the face and body,using medical technologies designed and tested by medi-aesthetics experts. They have a wide selection of medi-skincare and medi-slimming treatments that are personalized and prescribed by aesthetics experts to custom-fit the unique make-up of the individual's skin and body. I received my treatment at velocity outlet, located at level 2. It is so hard to miss the shop because of the bright interior lightings! Everything is almost white, bright and blue. Giving out a really clean and superior image. This treatment is pain and needle-free. It will only targeted on areas like sagging cheeks, double chin/jaws, crowfeet near the eyes. This treatment combines Ultrasound waves and unipolar RF to break down cells and get rid of the fatty waste from the body. During the treatment, Accent Ultra mode and ultrasound waves are used to shed off the fat layers and break up the fat cells without damaging the tissue types. Throughout all my 4 sessions, I received top notch services from all the aesthetics experts there. Upon arrival, they never fail to bring me a warm cup of beverage. I love how the staff are chatty and really friendly :) Before the treatment starts, the expert will remove your makeup (if any), do some cleansing, apply some gel before using the Accent ultrasound machine on your skin. During the treatment warm ultrasound waves are penetrated into your skin to break off the fat cells underneath. This is the part where it can get a little hot and feels like your skin is burning. When the heat gets unbearable, you can inform the staff and they will make adjustments for your need. Instead of an aesthetic treatment, it felt more like a comfortable facial. Many times, I dozed off in between the session haha! And when I do, the staff would gently wake me up or inform me the next step of the treatment. The treatment ends with a cooling hydrating mask that will be put on for approximately 20 minutes. After which, they will apply moisturizer and sunblock before releasing you. I truly enjoyed all my sessions and is contented with the outcome of the treatment. The more visible result from thetreatment is the sharpening of my chin, more V! If you are looking for needle-free alternative to botox face slimming, visit here for more information!